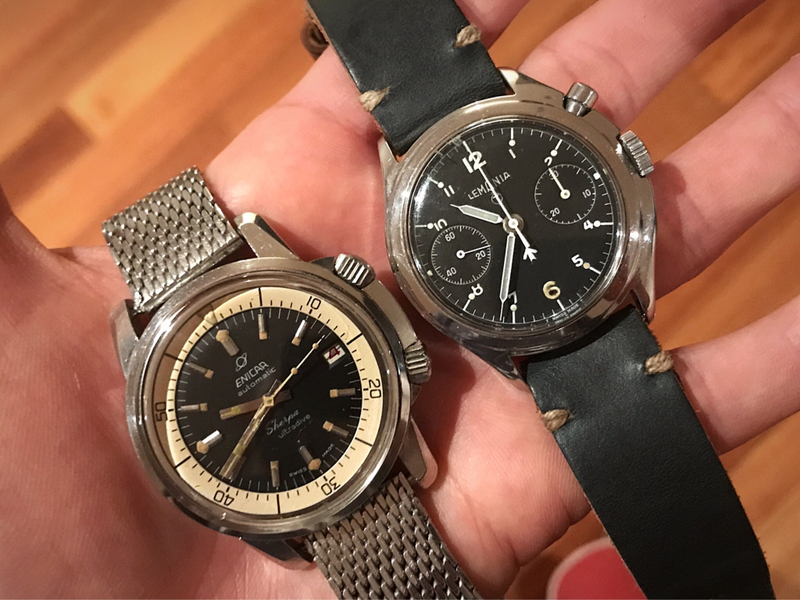 Cool pair like them both mite add a Lemania issued chronograph one day still sort of affordable but those Enicar are getting out of my price range. River Rat wrote: Cool pair like them both mite add a Lemania issued chronograph one day still sort of affordable but those Enicar are getting out of my price range. The Ultra dive is definitely hard to find in good or original condition and when they are they are definitely getting out of the league. Lemania Military are definitely up there now but I was lucky to snap these up when I could. Asymmetrical Cases are amazing. I love Lemania moonphase and chronograph. I found a few very pricecy on ebay.